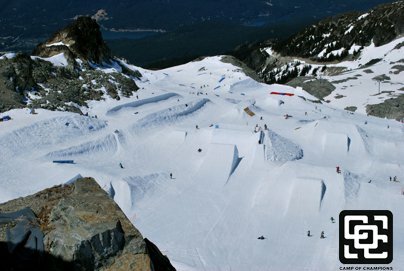 The Camp of Champions and our Global Cutter Pipes with the Air Bag is going to be epic. With Steve Petrie, the official Olympic Pipe builder, as our pipe magician, COC's 22-foot superpipe and quarterpipe will be the best in the world this summer. As the only camp with a pipe on the correct pitch, this is where you want to train. 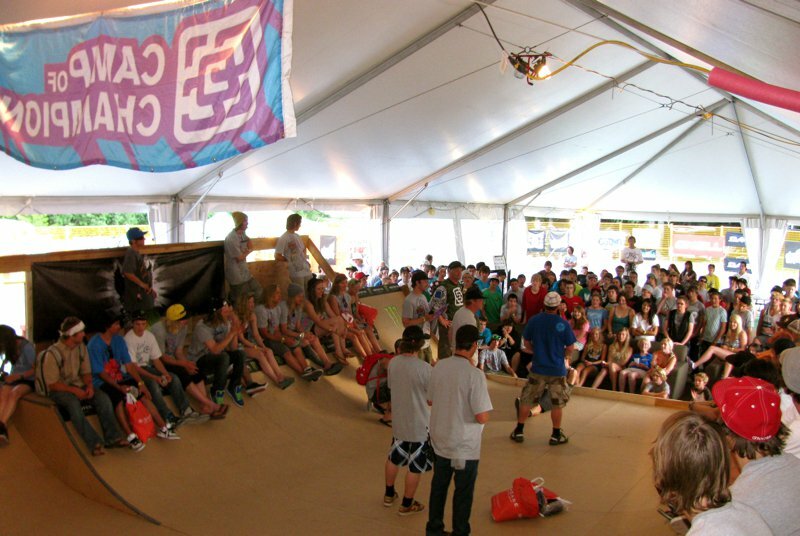 If learning big new tricks is your thing, we also have two Air Bags, one set up on the superpipe and quarterpipe so every day you can learn different tricks, while the other bag will be set up in the park on different jumps throughout each session so you can learn on a variety of features. We have brought back our two private handle tows for this summer, so now you never have to wait in a T-Bar line again. One will run up the side of the pipe so you can lap the pipe all day long, while the other will be set up on the jump and rail lines so you can lap those as well. When you ski at The Camp of Champions you get three more hours of on-snow time a day than Mount Hood, where they ski from 10:30am - 2:30pm and at COC you're on the hill from 8am - 3pm. And now the day just got even longer, as construction on the dry slope rail feature we're building using the M-Snow artificial snow-sliding surface is underway, and it's going to be amazing. You'll be able to work on your tech all afternoon and into the night in The Compound, and more skiing makes you a better skier, so come ski for longer at COC. With a ski day that is already three hours longer than camps at Mount Hood, the Camp of Champions just made it even more fun to ski from when you wake up till when you go to sleep from exhaustion. The Send it with... Sessions are shaping up to be all time this summer. 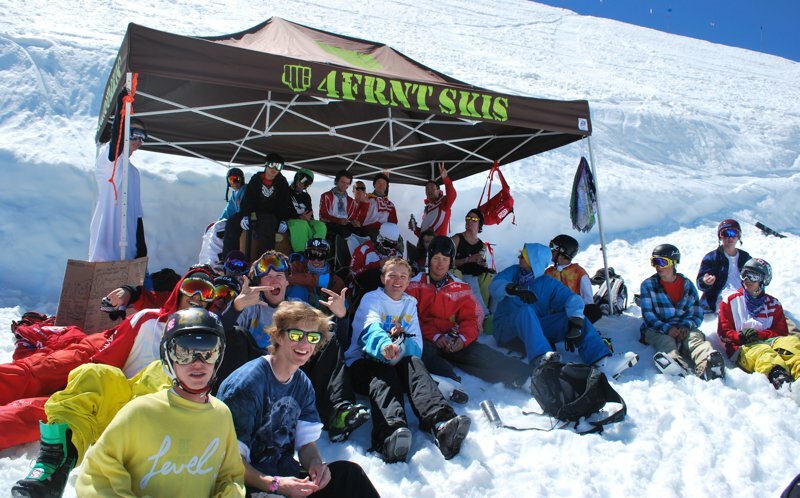 Camp A has the 4FRNT team, including Matt Sterbenz, Finn Anderson, Wiley Miller, Eric Hjorliefson, Keltie Hansen and others, who will all be on hand in Whistler to blow doors and make people stoked, Camp B has Bene Meyr and his whole Legs of Steel crew, Camp C is Line's Traveling Circus Week with Will Wesson, LJ Strenio and Shane McFalls, and Camp D is going to be crazy as well with Monster Energy, one of our Gold sponsors, rolling deep with a list of athletes that includes Tom Wallisch, Ian Cosco, Justin Dorey, and a hopefully healed TJ Schiller. Monster has said they will be bringing more shredders than that too, so rest assured that it's going to be an awesome summer. So don't miss it...sign up today for one of the last available spots to have the best summer of your life! The Compound, The Camp of Champions' home base, is packed with a 48-foot wide mini ramp, Big Air Bag, and more fun than you can imagine. Play pool, ping-pong, dodgeball, sumo wrestling, jousting, super twister, skate three different concrete parks, and so much more it's crazy. COC is almost sold out in Sessions B and C. Camps A and D have a bit more space but don't leave it too long or you'll be bummed! 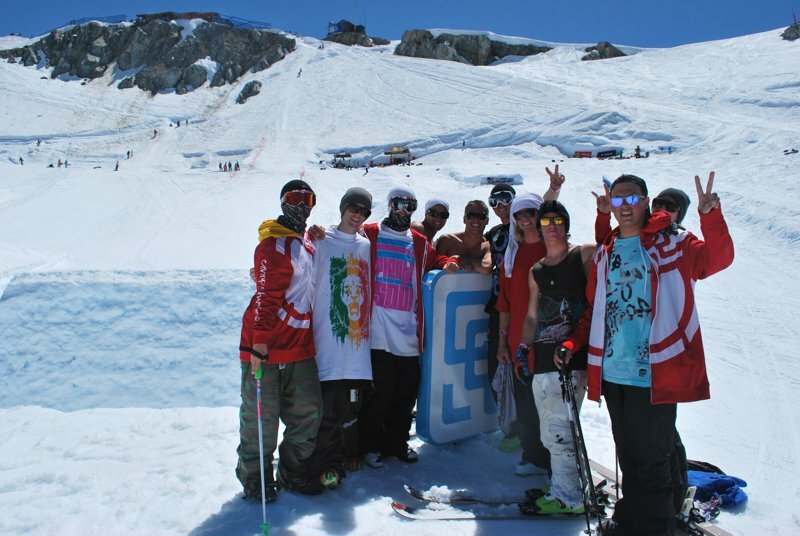 To find out more about The Camp of Champions, click here. Camp of Champions 2010 Best of Ski Camp from Camp of Champions on Vimeo.